5 Best Mattresses to Get Rid of Snoring — Say Hello to Quiet and Restful Nights! Though snoring is usually worse for those sleeping next to you, the louder it is, the more likely you are to wake yourself up, disturbing your own sleep. Adding alcohol or medications can increase your snoring, making it almost impossible for your whole house to get a good night’s sleep. This will leave everyone exhausted and unhappy the next morning. Worst of all, snoring can actually be a symptom of sleep apnea or other dangerous conditions, making it a health risk. To get a better night’s rest, you may need to try out the best mattress for snoring. These will usually have the right profile thickness, some soft layers, with about medium firmness. These features work together to support your body in the proper sleep position, while still providing you with the right comfort to get a great night’s sleep. The materials are also a factor to check out, as some keep you cool while others form to your body for the proper alignment. A decent warranty is also a must, just in case there are any issues with your new mattress. To help you find the best mattress for snoring available, we spent countless hours poring over manufacturer’s information, reading customer reviews, and testing out every mattress we could. Then we chose the top five, creating a table with ratings and nominations. We also added a detailed review of each mattress, plus compiled a handy buying guide so you know what to look for. Those who snore need a supportive mattress that won’t have them shifting around, trying to get comfortable. 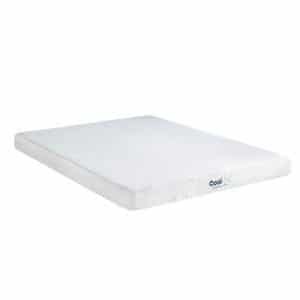 This one from Olee Sleep is a hybrid mattress, combining coils and foam for a firm, yet soft, addition to your bedroom. On the base is 7.5 inches of Dura Pocket Springs, which have head-to-toe wrapped coil construction for continuous support over your whole body. These coils also help reduce movement when your partner rolls over or gets up in the night. Above these coils are layers of foam, starting with high-density foam for extra support and mattress durability. 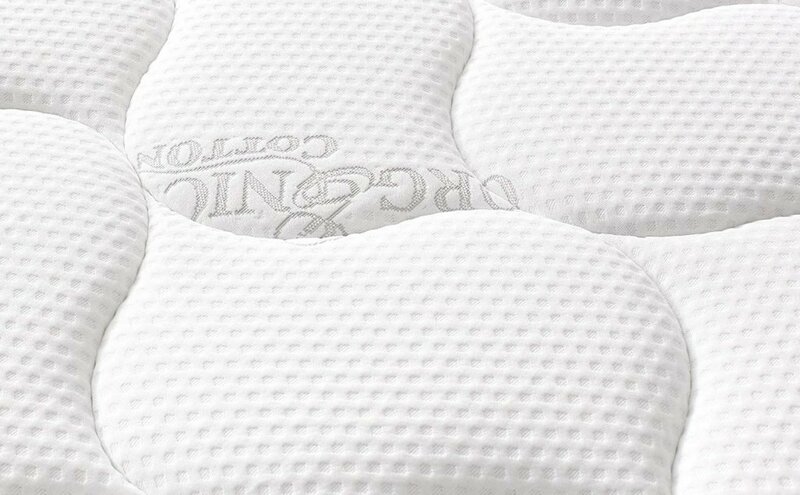 Next is convoluted high-density foam, which has a supportive egg carton construction and provides breathability. Above that layer is the Dura Foam. 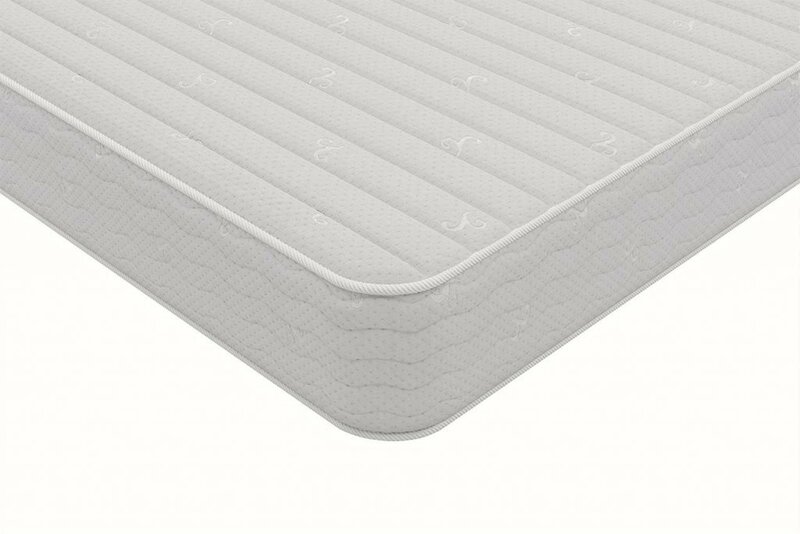 It has elastic qualities that ensure the mattress retains its shape for years. 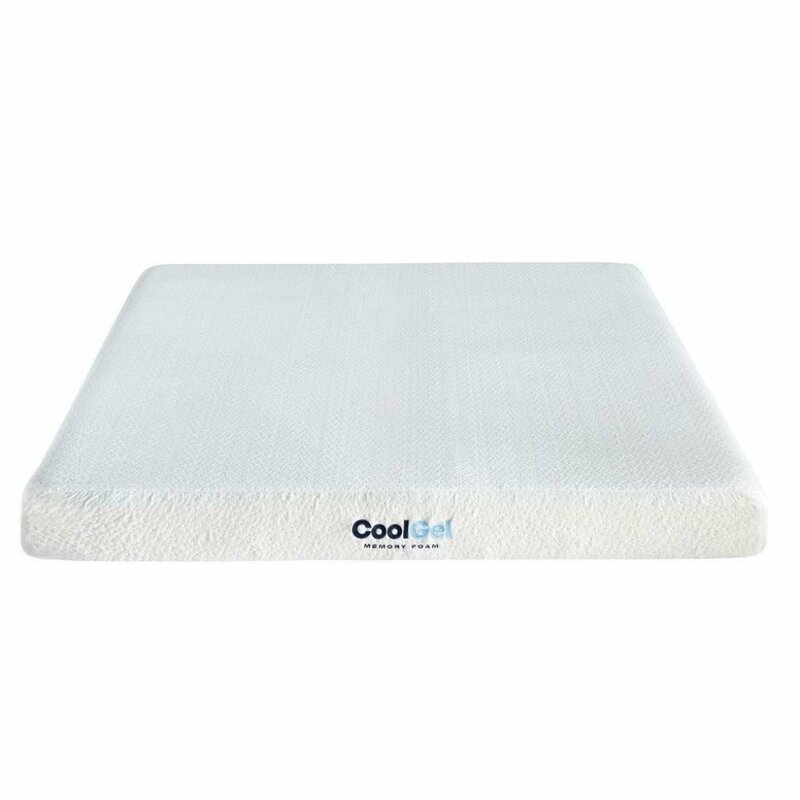 The top memory foam layer is infused with a cooling gel to keep you from overheating as you sleep. Even the cleanest person can soil a mattress over time, which is why Olee Sleep included the Jacquard cover on its product. This cover is washable for easy cleaning, plus adds softness to your mattress. The only issue with this model is that the sides aren’t as supportive if you sit on them, though this doesn’t affect the way you sleep. This mattress comes in four sizes, so no matter how big your bed is, your snoring will be a thing of the past. 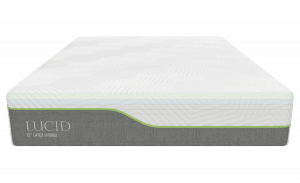 This Lucid mattress is a hybrid model, combining foam and springs for a responsive, yet supportive mattress to increase comfort while reducing your snoring. 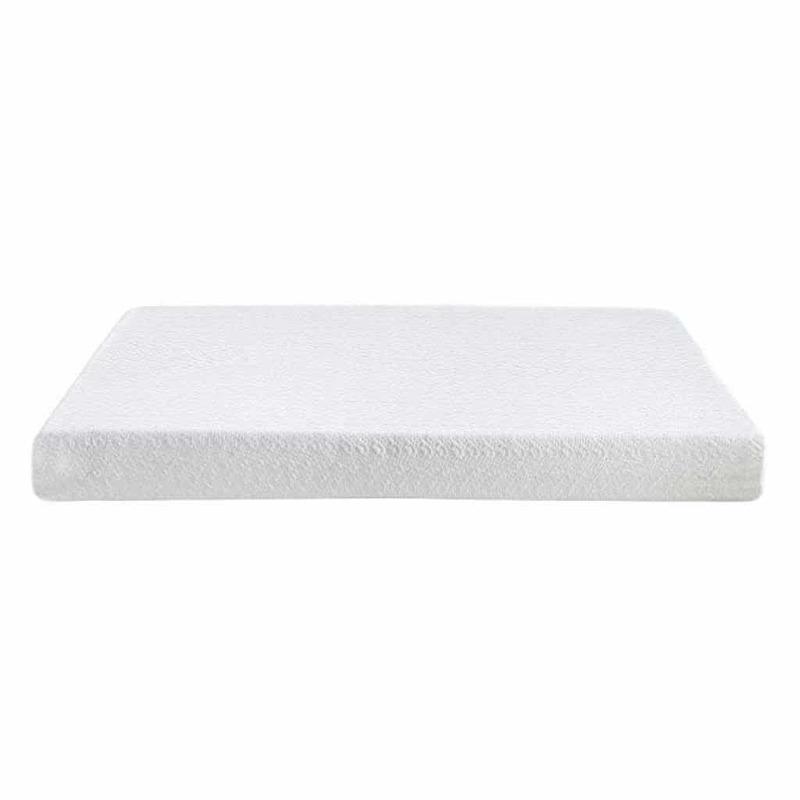 The top layer is two inches of Bamboo Charcoal memory foam, which helps get rid of nasty odors while forming to your body during your sleep. It also wicks moisture away from your skin, creating a naturally hypoallergenic sleeping area. Next is a layer of Aloe Vera Transition Foam, which relaxes you while you sleep so you wake up refreshed. The 6.5-inch encased coils have an inch of support foam above and below, adding a bit of extra plushness to this layer. These coils respond to your movement without waking your partner. They also help increase the airflow, so you stay cool all night long. Unlike many other mattresses of this type, Lucid has also added six inches of support around the edges of the bed. This keeps you from sliding off if you sit on the edge or roll too close to the side while sleeping. 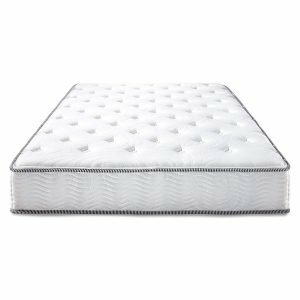 The plush layers this mattress offers let you get comfortable while sleeping on your side or stomach, the optimal positions to reduce snoring. It also aligns your body properly, so you won’t feel any neck or back pain in the morning. Its affordable price and a ten-year warranty make it worth a try. A versatile mattress that can fit into any home. 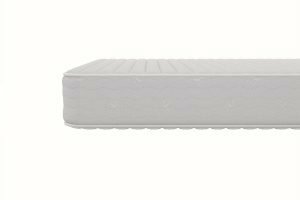 This one from Signature Sleep is made to fit on any type of bed you have, including box springs, platform beds, and even bunk beds. It is also reversible, with 2.5 inches of high-density foam on the top and the bottom. This means you can flip it over every few months or so to increase the life of the mattress, without disrupting your comfortable sleep. 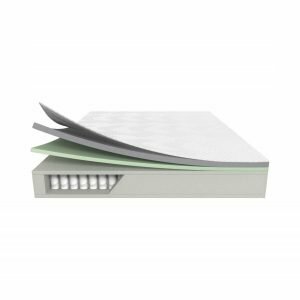 Another benefit of this type of foam is that it is CertiPur-US certified, which means it is free of harmful materials and chemicals that are unhealthy to be around. Between those foam layers are independently encased coils, which provide the support you need for a more comfortable sleep. This works well for those sleeping on their sides and their stomachs and is essential to reduce snoring. Another benefit of this type of coils is that they eliminate motion transfer, so you won’t feel your partner move during the night. The knit fabric on the outside of the mattress is soft against your skin and breathable to reduce sweating. 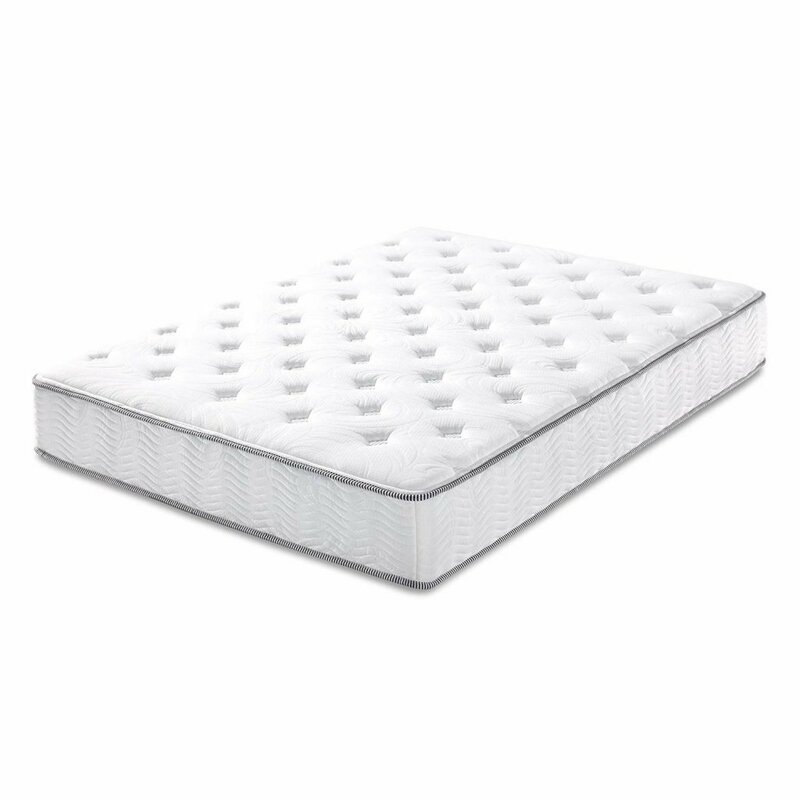 The firmness of this model also helps relieve back pain as well as snoring, though some might prefer a bit more of a topper, which can always be purchased separately. 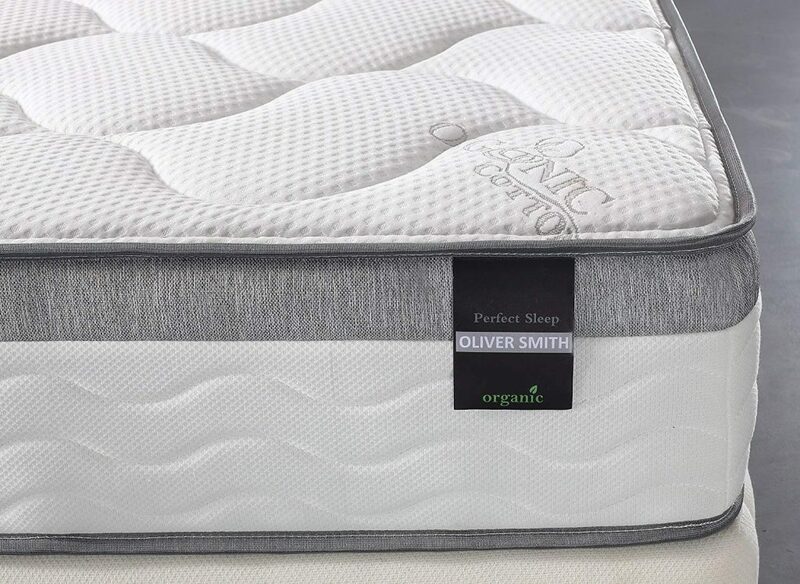 The multi-layer design of this Oliver & Smith mattress was specifically created for a comfortable sleep at a great low price. It uses only quality materials that will last for years. The outer cover is organic cotton, which is soft and safe for every member of your family to use. This material features a ventilated pattern that helps keep you cool while you sleep. Underneath the cover is six inches of memory comfort foam. As well as adding comfort, this layer is also ventilated, for extra heat reduction. Since it is non-toxic Green Certified foam, you don’t need to worry about your health or the environment when it comes time to get a new mattress. For support while you sleep, there are independently-encased 15-gauge tempered steel coils. These are strong enough to support the weight of your whole body, while still conforming to your shape. They also help reduce motion transfer if you are sleeping next to someone else. The downside of this mattress is that there isn’t much support around the edges. This issue shouldn’t affect your sleep, though you will need to be careful if you sit down to put on a pair of socks. 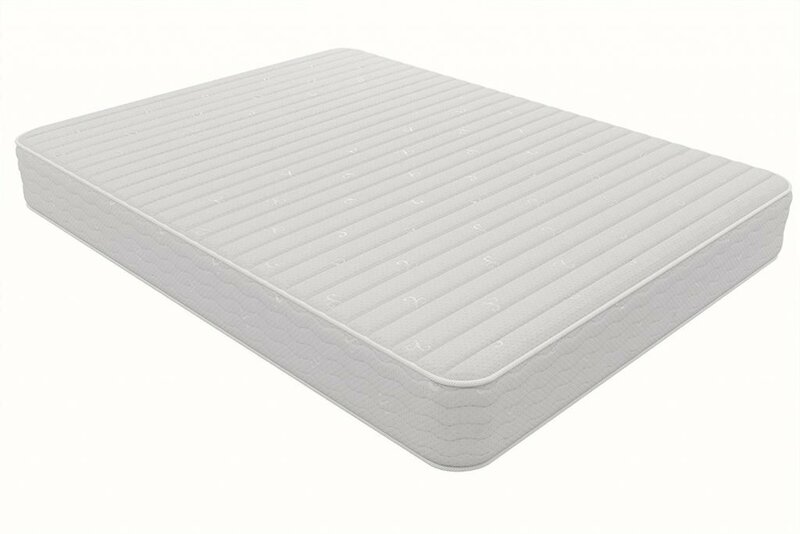 For side and stomach sleepers trying to reduce their snoring, this is a great firm mattress, though some find it a bit too firm. The addition of an extra pillow top will alleviate these issues. Despite having a shockingly low price, this mattress still has great features that make it one of the best mattresses for snoring there is. It comes in multiple sizes and can be used on numerous bed types as well, so you can get one for every member of the family without breaking your budget. Though it is only six inches thick, this mattress is still quite comfortable. 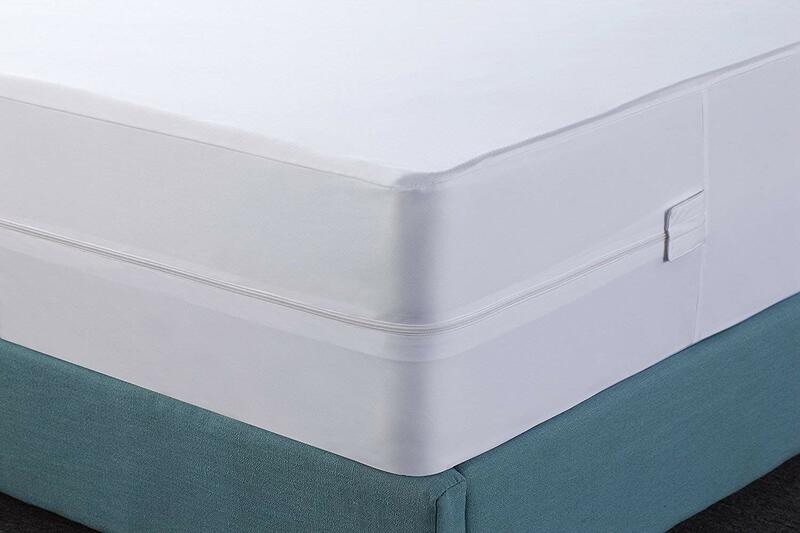 At the top is a thin layer of gel foam, which stays cool while you sleep so you don’t overheat. You may even want to wear a few more items of clothing to ensure you aren’t cooling off too much. Under the cool gel foam is a thick layer of high-density foam. This gives you the support you need to reduce back pain but is also comfortable enough that you can position yourself as necessary to keep your snoring from waking up the rest of the house. This layer is also breathable, working with the gel foam for a comfortable sleep. There are also two covers added. The outer one is a four-way stretch cover which helps the foam conform to your body shape. The inner one helps to keep the mattress clean and fresh. This mattress is naturally hypoallergenic, resisting harmful allergens like mold, dust mites, and bacteria for a healthier sleep. If you snore, you need a decent mattress that will let you get into the right position to keep the noise to a minimum. 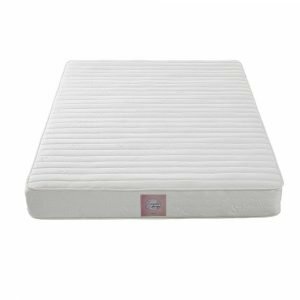 For this, your mattress needs the right firmness and comfort levels, plus a few extra features to ensure a great night’s sleep. This way, you’ll wake up refreshed, as will those who have to sleep next to you. How can a mattress help you get rid of snoring? Snoring is caused by restrictions in your air passages, which leads to vibrations in the nose and the throat. Most often, this happens when you’re sleeping on your back. For this reason, people who snore need a bed that allows them to sleep on their side or stomach, to reduce their snoring and also help those sleeping nearby, get a better, more restful sleep. Unfortunately, some beds aren’t very comfortable for these positions. They are either too hard, pushing into the shoulders, hips, or stomach when in these positions, or too soft to support you for the right alignment. Either way, you can wake up with sore areas. Or, you continually roll onto your back for a more comfortable position and start snoring again. The best option for those who snore is a bed that has a medium thickness, to give them the support they need while increasing their comfort, no matter what position they sleep in. That is why for our review, we’ve picked models rated by the manufacturer as medium-firm. When buying your next mattress, there are a few features you should think of. Not only will these features help reduce your snoring, but they will also give you a more comfortable night’s sleep. Part of the issue with snoring is inadequate support for your spine and head, which allows your jaw and throat to collapse and open up. To prevent this, it is best to get yourself a medium to firm mattress, like any of the options we’ve reviewed here. These will support the spine correctly, unblocking those airways for a quieter sleep. Medium to firm mattresses are still comfortable, though, so you can shift as you please with no sore spots when you wake up. 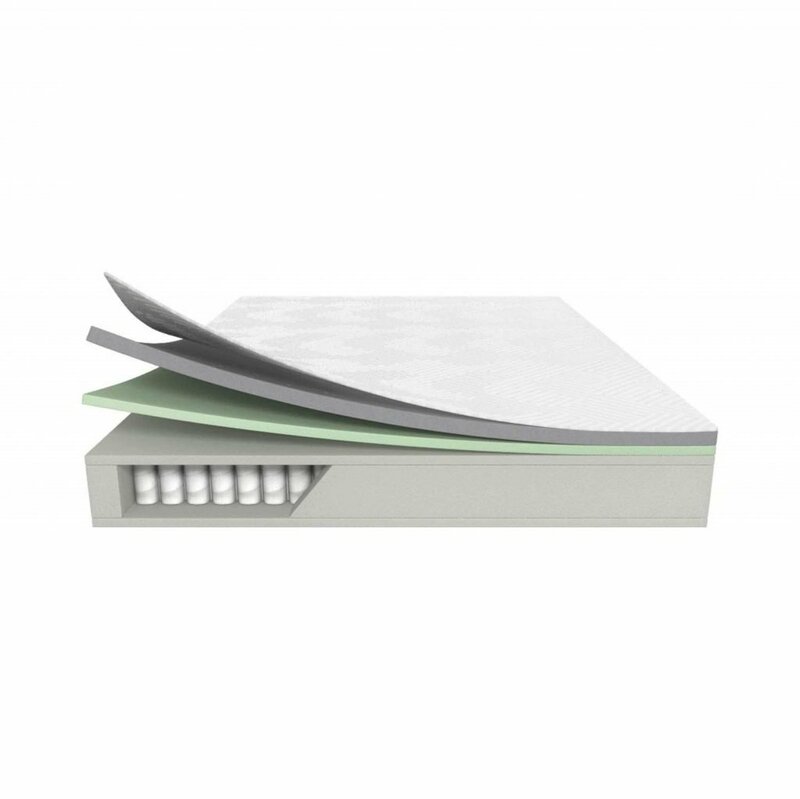 Mattresses come in different thicknesses, from thin to very thick. For those who snore, standard mattresses around 10-12 inches are best. They consist of multiple layers that provide the proper support for you to find the best position to reduce snoring. They are also comfortable, adding in more soft layers as well to keep you from shifting around all night trying to find the best position. When it comes to materials, those who snore should look for the following options. 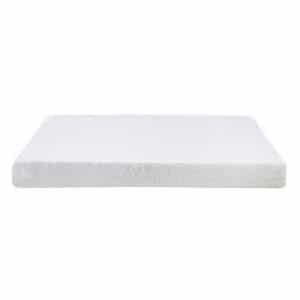 First is memory foam, like what’s found in the Classic Brands 410106-1150 Mattress. It conforms to your body’s shape, supporting you from head to toe. This type of material also doesn’t retain a lot of heat, keeping you cooler while you sleep. Another option is pocket springs or coils, which help retain the shape of your mattress while giving you the support you need. These also don’t keep heat for a cooler night’s sleep. The third option is latex, which naturally supports your spine while reducing dust-mites and allergies. Many mattress brands even create hybrid models, like some of the options we reviewed above. This combines the best features of the mentioned materials for a better, more comfortable, and longer lasting mattress. Though a mattress cover won’t exactly prevent snoring, they can help you sleep comfortably while keeping your mattress a bit cleaner. 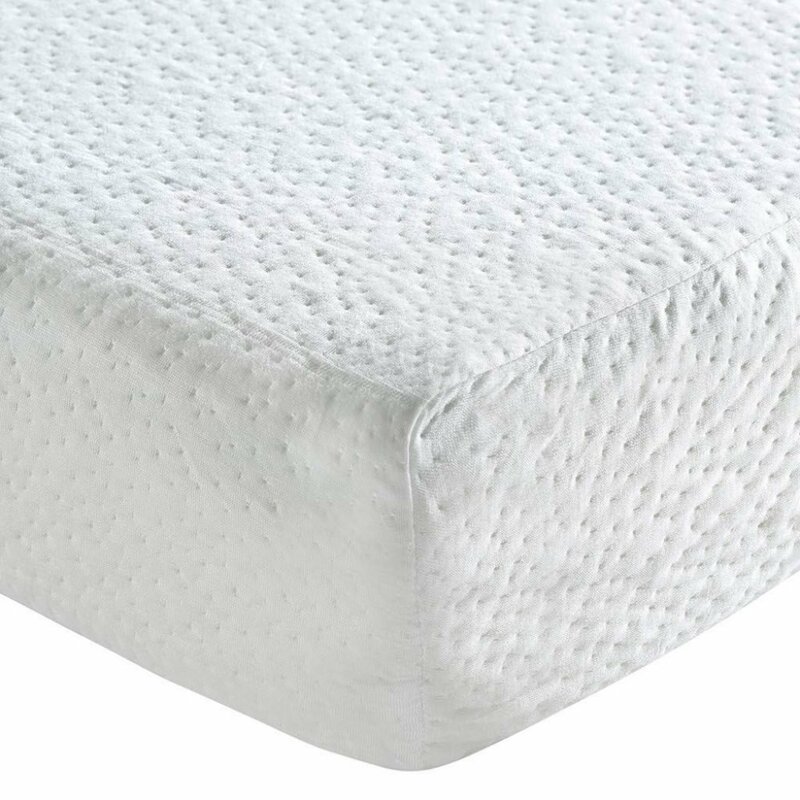 One thing to look for is a hypoallergenic cover, like the organic cotton one included with the Oliver Smith furMattress Chiland. These are safe to use for everyone, even those who are allergic to many kinds of fabric. Soft fabric is also a must. Ventilation adds breathability, which helps keep you cool while you sleep. Fabrics that repel or wick away moisture reduce dampness and sweating during the night. One more thing that you need, especially if the mattress is for a small child, is to make sure that the cover is easy to wash. Removable covers can be tossed in a washing machine when needed, which is the quickest way to clean a soiled cover. There are four main types of mattress sizes, which include twin, full, queen, and king. Then there are the extras, like twin XL and California King mattresses. The more size options the bed has, the easier it is to find the one you need. If you’re buying mattresses for the whole family, one like the LUCID 12 Inch Queen Hybrid Mattress will give you the right sizes for every bed in the house. Be sure to measure the bed frame or box spring you’re using first, just to be sure the mattress will fit nicely on top. Warranty is a must for everything you buy, especially if it’s something you’re going to use every single night for years to come. Most mattresses come with warranties that cover manufacturing defects, so you don’t need to pay for repairing the damage you didn’t cause. Not only does this refer to defects, but it can also cover sagging in mattresses that are meant to stay firm, at least in the beginning and for certain depths. Another thing to look at is the length of the warranty. 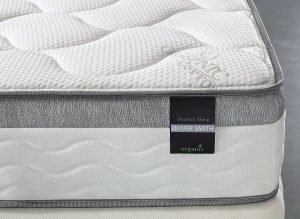 Though ten years is an average period, some mattresses, like the Oliver Smith furMattress Chiland, have a 20-year limited warranty. As well as giving you some piece of mind, this shows just how confident the company is in the performance of their mattress. There are a few additional features to look for in a decent mattress. One is CertiPUR-US certification, which ensures that the product is made of materials that are not harmful to you or your family. The number and type of layers is also something to look at. Some use different types of foam, coils, and gel layers, all of which have their own benefits. A mixture of these combines the best of each one. A trial period allows you to test out your mattress before fully committing to it. You should also look at the packaging. Some mattresses are rolled and vacuum-sealed, which means you need to let it expand for a few days before you can sleep on it. Which other accessories do I need for a snoring-free night? Specific pillows can prevent snoring. A wedge pillow elevates your upper body while aligning your spine. Contour pillows have a raised center and indents for your shoulders, which keep your head at the right height while opening your airways. 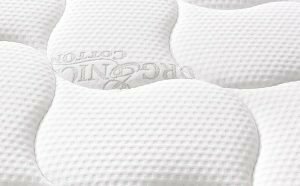 Latex foam pillows are a bit firmer than normal pillows, supporting and elevating your head for proper alignment and open airways. Also, a humidifier will reduce the dryness of the air that leads to a dry nose and throat, both of which contribute to snoring. How do I know that the mattress doesn’t contain any harmful chemicals? 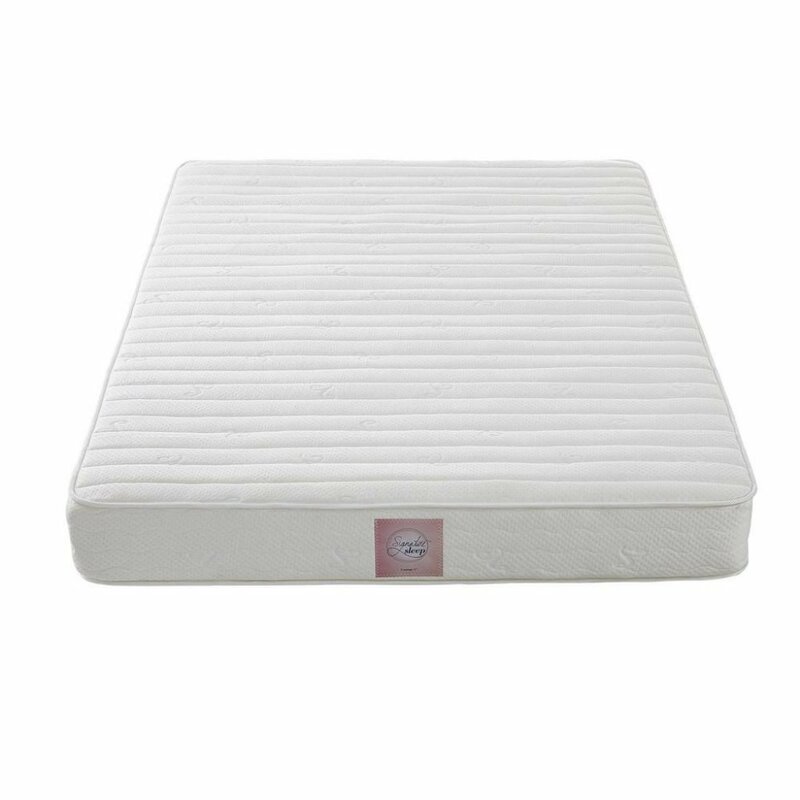 Look for certifications, such as CertiPur or Green Foam certifications, which ensure the mattresses are made of clean materials with no harmful chemicals added in. Can these mattresses also help with back pain relief? Yes, many of these types of mattresses also help relieve back pain. 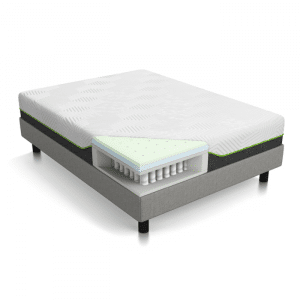 The medium firmness supports your body, keeping it aligned adequately during the night for less pain in the morning. With the best mattress for snoring on your bed, you can have a restful night’s sleep every time you lay down. The five mattresses we’ve reviewed here can help you achieve this goal, though there are a few that have a bit more to offer. 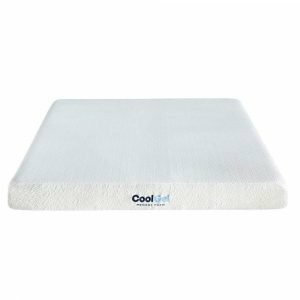 The Olee Sleep Cool I-Gel Foam Top Innerspring Mattress is our top choice, due to the multiple foam layers for comfort and cooling. 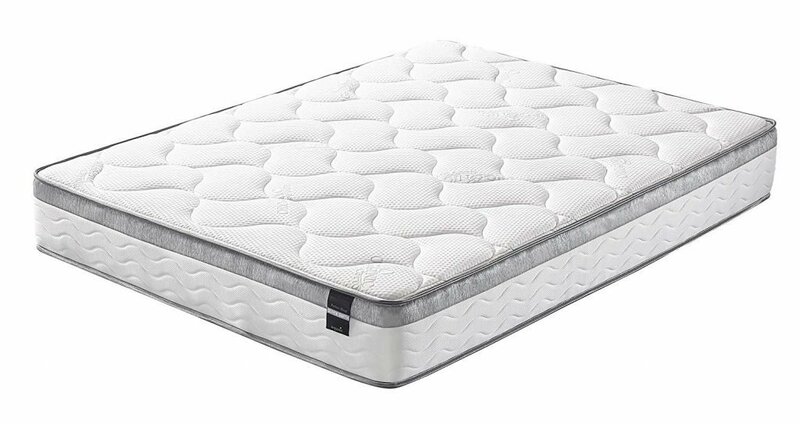 This one is made of quality materials, with the right firmness and support to relieve back pain as well as snoring. Next is the LUCID 12 Inch Queen Hybrid Mattress, which is the thickest on our list at 12 inches. It comes in six sizes, all of which include the Bamboo charcoal layer and the Aloe Vera transition foam. It is the only one with supported edges as well. 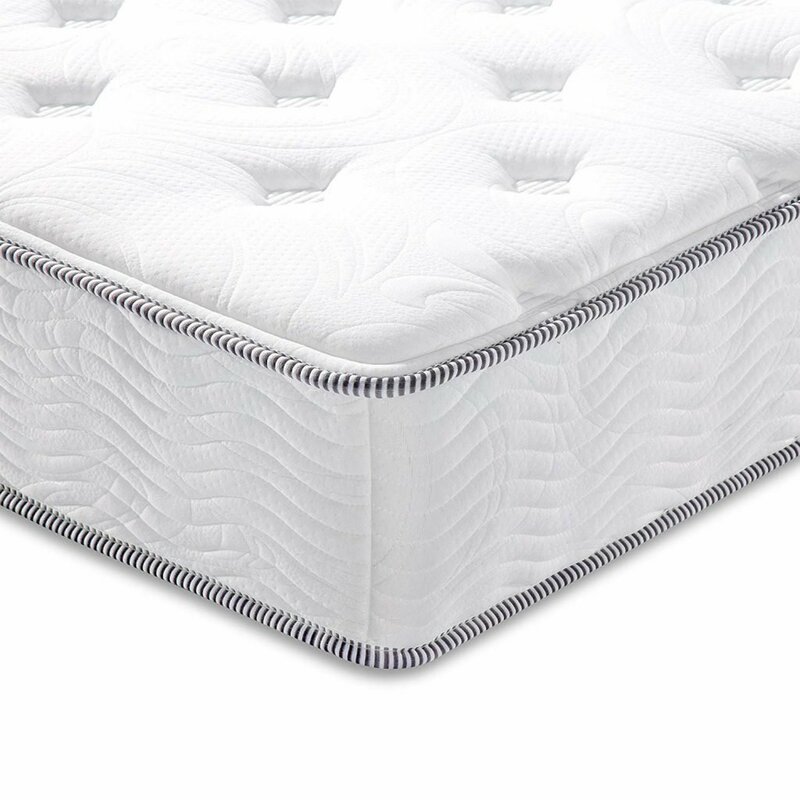 The Signature Sleep Coil Mattress is the only reversible model on our list. This helps increase the life of the mattress. This one is versatile, uses high-density foam on the top and bottom, and has soft knit fabric on the outside for increased comfort.